The FBI investigators in protective gloves, boots, and coveralls weren’t quite sure what they would find behind the padlocked chain-link fence on a wooded hillside in Tennessee, except that there would be lots of dead bodies. The special agents and analysts were students in the FBI Laboratory’s Recovery of Human Remains course, held in March every year by the Forensic Anthropology Center at the Anthropology Research Facility in Knoxville. 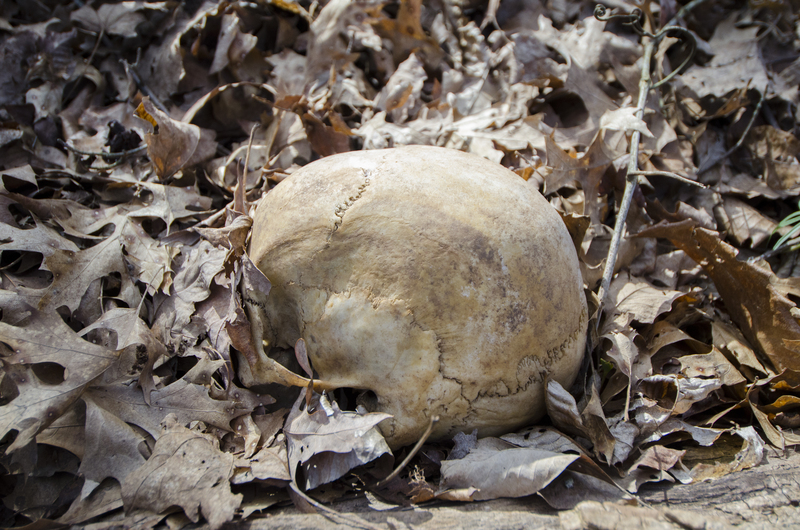 The outdoor site—popularly known as the “Body Farm”—consists of 2.5 shady acres where human donors are buried, partially covered, or left out in the elements so forensic anthropologists can study how bodies break down and decompose under different conditions. The research facility was established in 1981 with the first body donor. 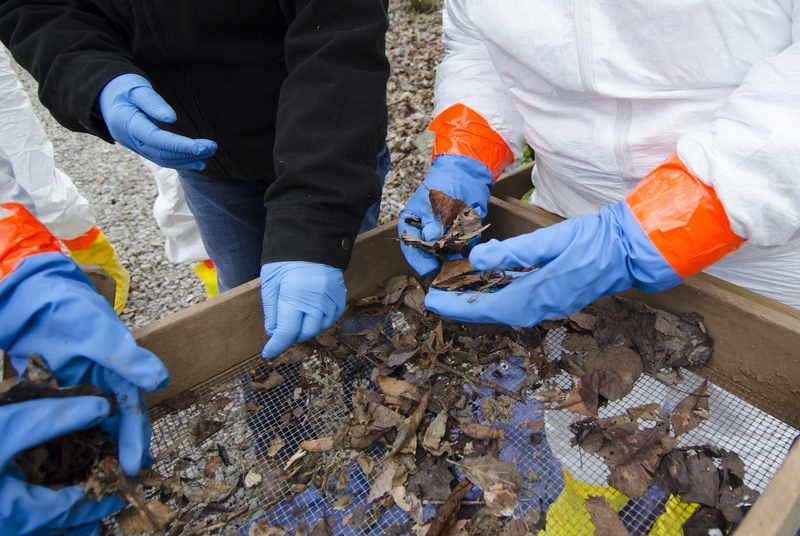 The FBI Laboratory began sending personnel to the Body Farm two decades ago to better understand the intricacies of investigating outdoor crime scenes. Dawnie Wolfe Steadman describes the process of finding and uncovering clandestine burial sites using the method of forensic anthropologists. 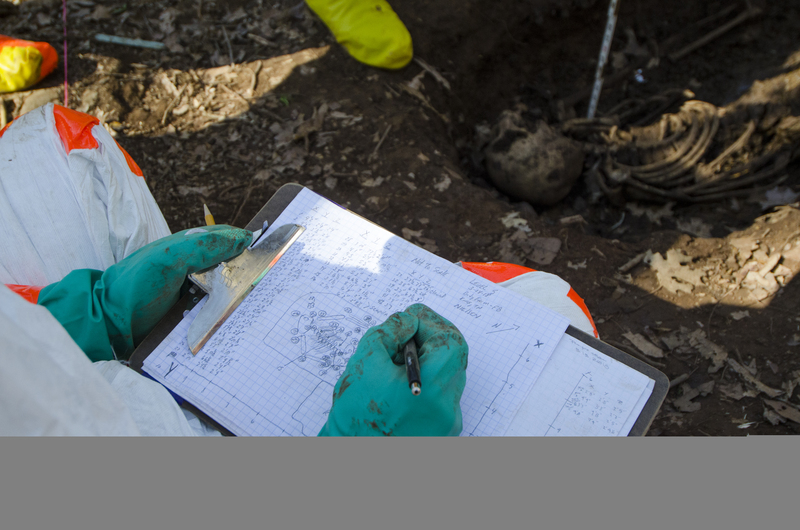 This month marks the 20th year of the FBI’s sought-after Recovery of Human Remains course. During the five-day class, students learn and apply a rigid methodology of probing the ground to find clandestine graves and then unearthing the remains and documenting everything, including clues and potential evidence that might be buried in the surrounding soil. The goal is to collect as complete a picture as possible of the deceased. Special Agent Heather Thew describes the importance of properly documenting a crime scene. For the class, one of the FBI Laboratory’s most popular, students are separated into small groups led by Forensic Anthropology Center instructors. Each group is escorted to a separate isolated area on the wooded grounds and provided probes to poke into the soil and feel for anomalies or soft spots. When a potential burial site is discovered, students learn how to map it on a grid of twine and stakes and begin scraping away thin layers of dirt, which is sifted for clues. Students take turns measuring, documenting, and sketching as the contours of a skeleton begin to emerge. In turns, the groups are also pulled aside for seminar-style lessons, including one that shows how heat and fire affect dental work and another on how maggots can unlock some of the mysteries of the recently deceased. 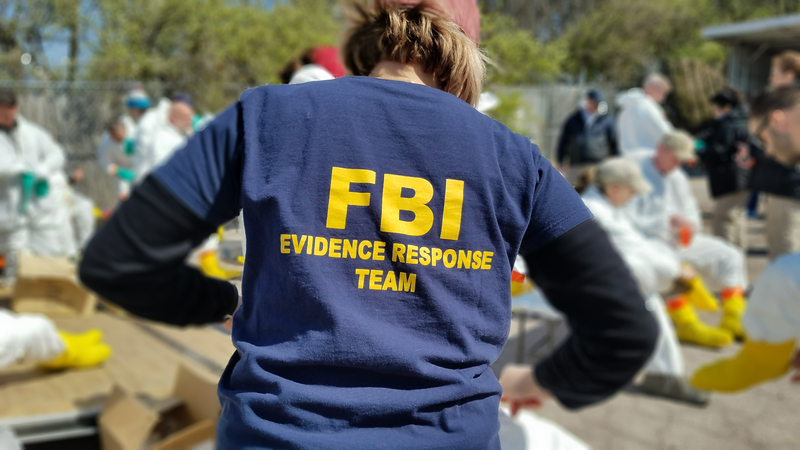 FBI Evidence Response Team members receive training each year at the Forensic Anthropology Center in Knoxville, Tennessee. Training this month marks 20 years for the unique partnership. Dawnie Wolfe Steadman, who manages the research facility, said managing an outdoor crime scene presents unique challenges for even the most seasoned investigators. "This is something that you really have to do to understand the complexities of it." An FBI Evidence Response Team member sketches a burial site at the Anthropology Research Center in Knoxville. By the end of the course, students will have removed the remains from their burial sites and compiled a thick portfolio of documentary materials about their excavations, which in a criminal case would assist prosecutors but here becomes an instructional part of the research facility’s large skeletal collection. Students also finish with a broader understanding of crime scenes and evidence collection. Kacey Gabriel, head of the forensic response section of the FBI Laboratory, said the annual course plays a key role in what he calls “defensible evidence collection”—properly documenting, photographing, and packaging crime scene evidence.